We love it when a plan comes together. Not only do you get great light control from these stunning... vertical blinds, you can also coordinate them seamlessly into your space thanks to our huge range of delectable neutral tones. Play around with patterns or stick to something simpler with our minimalistic plains. 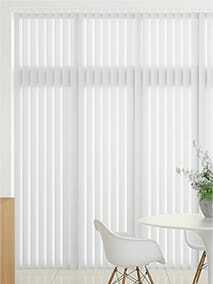 Either way, our white, neutral & natural vertical blinds will make the perfect addition to your home. Vertical blinds can be vibrant as well as practical, just take our delightful colours collection as... an example. Plains, textures and jacquards all feature in a bright spectrum of shades to suit your home’s colour scheme. Plus, they’ll help you get a handle on the light coming in to put you in complete control. 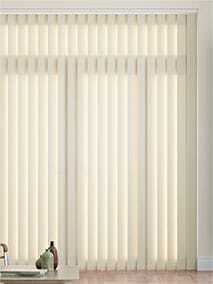 In elegant and stylish neutral tones, our collection of blackout vertical blinds is the height of... sophistication. Whether plain, textured or with a subtle design they’ll make a stunning addition to your décor. Plus, with a blackout backing they’re great for when the bright sunlight gets a bit too much. A blackout vertical blind gives you even more control over the light so when the sun starts... outstaying its welcome you can banish it in an instant. What’s more, our colours collection comes in a rainbow of lively hues that will complement the rest of your home perfectly. 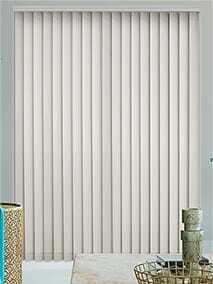 These hard-working vertical blinds feature special fabric which reflects heat back into the home,... helping to reduce energy bills and make rooms feel warmer. This collection is available in a range of colours with a wonderful woven texture. 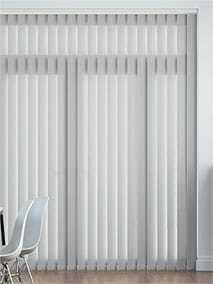 These contemporary blinds are perfect for modern day living. They have strong, durable vanes and... offer semi-blackout plus 100% water resistance. A practical alternative to traditional fabric these blinds are suitable for any room in the home - even the conservatory! The Alicante blackout collection features our toughest vertical blinds; made from high quality PVC... they are virtually indestructible! These vertical blinds are just perfect for bathrooms and a very popular choice for kitchens, they’re totally waterproof and wipe clean with ease. 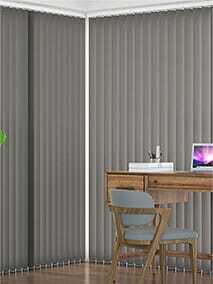 Safety and style go hand with these hardy Polemis vertical blinds. Flame retardant to the British... Standards required in schools and offices, BS 5867, they give you that extra element of safety and plenty of peace of mind. Plus, they're incredibly stylish too, what more could you ask for? Our wide ranging collection of vertical blinds is perfect for large windows and patio doors as well as any other window in your home and gives you the choice of so many textures, colours and designs. Enabling you to control the light any way you choose, you can rotate a vertical blind to allow just the right amount of sunshine to filter through while also giving you incredible shade. There are plenty of practical options to choose from as well, with our blackout verticals providing you with complete shade, effectively blocking out the sun to protect you from its glare. Our thermal, energy saving vertical blinds also help to cut your heating bills and keep your home cosy and warm, while our PVC collections offer durability and strength and are ideal for kitchens and bathrooms. 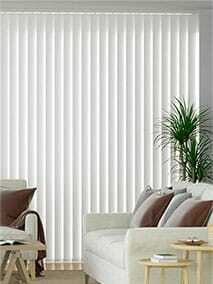 We found Blinds2go ex,nt just give them the sizes and they will do the rest. 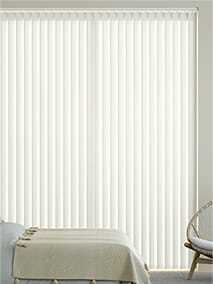 Fantastic Blind, great price, easy to order, arrived quickly. Highly recommended, very easy to use website. Great price & delivered as promised. Good on time delivery, easy to fit and good value. What is not to like? 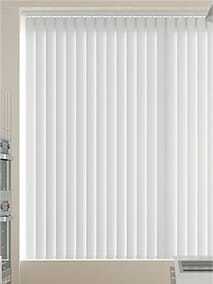 The website is so easy to use, the blinds are just great value for money and the speed of delivery is excellent. Cant fault this company. Arrived on time,perfect fit .great blinds. Blind was exact in construction and very easy to put in place. A ten minute job and does exactly as advertised.